Jones Exhaust 2.5 in. 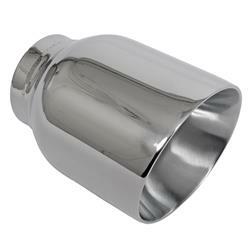 Stainless Exhaust Tip 5.25 in. Long [Jones JST139 Exhaust Tip] - $19.95 : 3rd Strike Performance, Your Source for Late Model MOPAR Performance Parts and Accessories! Overall Length (in): 5.25 in.